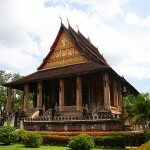 Upon arrival in Vientiane Airport, you will be met and transferred to the city for a short tour, if time permits. 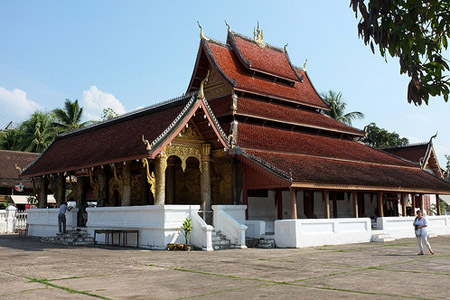 We then transfer back to the airport for a short flight to Luang Prabang, which is perhaps the best-preserved traditional city in Southeast Asia. After checking into your hotel, we visit the impressive stupa of Wat Visoun and the shrines of Wat Aham and Wat Mai, we then climb up to the top of Mount Phousi to explore the sacred, gilded stupa as well as have a beautiful view of the city and the Mekong River at sunset. 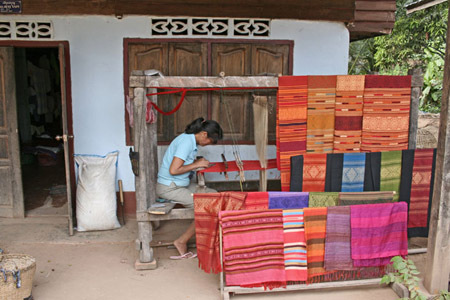 From there, we explore the Night Market, where you can browse a lovely selection of handmade textiles made by the local people and hill tribes surrounding Luang Prabang. Overnight in Luang Prabang. An optional early start gives you the fantastic opportunity to participate in the daily morning rituals of saffron-clad monks collecting offerings of Alms (often in the form of sticky rice) from the faithful residents. 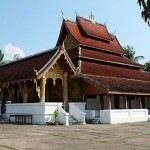 This tradition is very unique in Laos, being the only Buddhist nation still preserving the ritual.. Today, we enjoy a short-guided tour seeing the city’s oldest temples of Wat Sene and the magnificent Wat Xiengthong with its roofs sweeping low to the ground, which represents classical Laotian architecture. We then embark on a cruise upstream on the Mekong River, which also gives us a breathtaking view of the tranquil countryside as well as exploring the mysterious Pak Ou Caves, two linked caves crammed with thousands of gold lacquered Buddha statues of various shapes and sizes left by devoted pilgrims. Along the way, we will stop at the village of Ban Xanghai, where the local rice wine is produced. 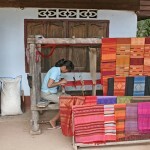 On return, we take a short drive to another small village Ban Phanom, which famous for its hand weaving. Overnight in Luang Prabang. Today we visit the National Museum (closed Tuesdays) at the former Royal Palace. 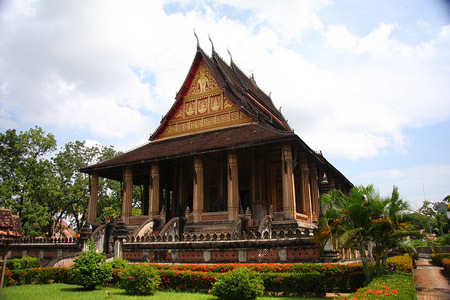 It displays a collection of artefacts reflecting the richness of Lao culture dating from the days of the early kings right through to the last sovereign. There will also be time for us to look around the Central Market. 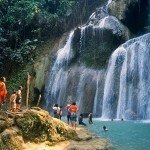 After visiting these sights in the morning, you catch your flight back to Vientiane. Here, see the major sights of the capital; including the oldest Wat Sisaket with its thousands of miniature Buddha statues and the former royal temple of Wat Prakeo, which previously housed the famous Emerald Buddha image. On the way to Lao’s national precious heritage, the famous and sacred structure of That Luang Stupa, we stop enroute to take some pictures of the imposing Patuxay Monument, which is well known as Vientiane’s own Arc de Triumph. We watch the sunset by Mekong Riverside and spend the evening here absorbing the city’s nightlife. Overnight in Vientiane.